Another Raiders assistant is out, this time for a lateral move. Running backs coach Jemal Singleton has taken the same position with the Cincinnati Bengals, the team announced today. Singleton spent last season as the Running backs coach under Jon Gruden. He joins former QB coach Brian Callahan who takes the offensive coordinator job in Cincinnati. 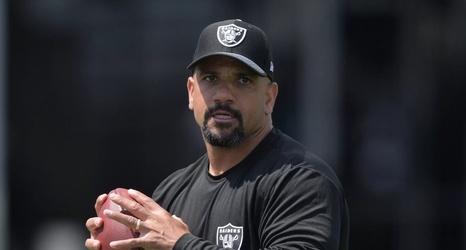 Also recently leaving for a promotion elsewhere was DB coach Derrick Ansley who was hired on as co-Defensive Coordinator at the University of Tennessee. There are now three key position coach position yet to be filled by the Raiders.